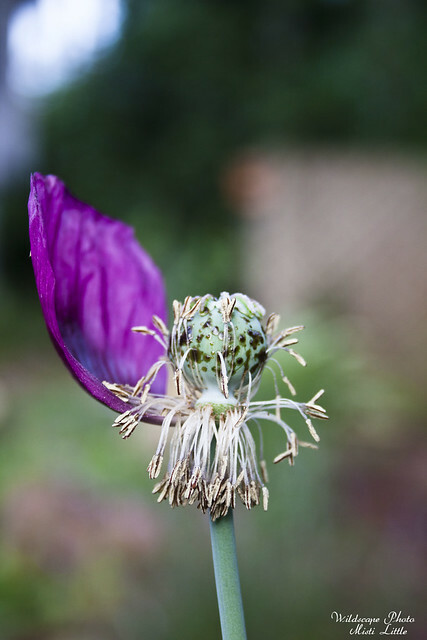 I believe I first found out about this hybrid poppy in a gardening magazine. The description made it sound like grape juice, something delectable and sweet. Then I found the seeds for sale at one of our local nurseries and I bought a package of them up. 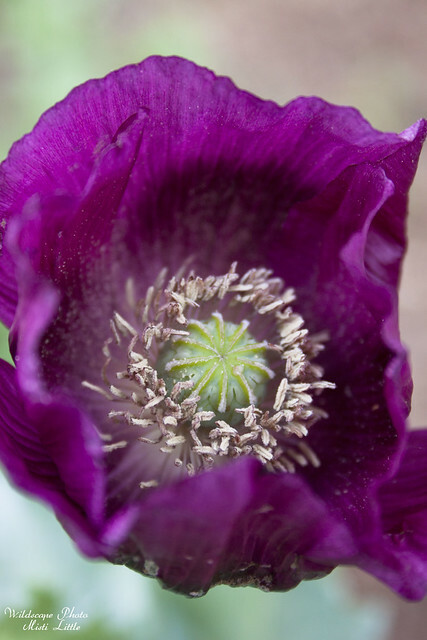 This is my first year at growing poppies. 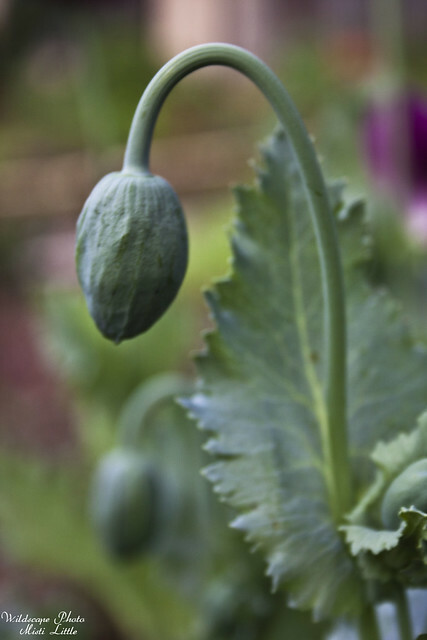 In Florida I was under the impression that poppies wouldn’t do well but I have a suspicion that they would have grown fine during the winter in zone 10B where I was located, not in the late spring as they are growing now. These flowers, I absolutely love them! We started the seeds in flats and then transplanted them to three separate areas once we got the flower beds installed. They quickly grew to nearly 4′ once the warmth came to stay a month or so ago. I traced a strange odor to these plants after an afternoon going places and thinking I smelled cigars in the air. At first I was at a plant nursery I thought it might have been a plant there or perhaps someone had a cigar. 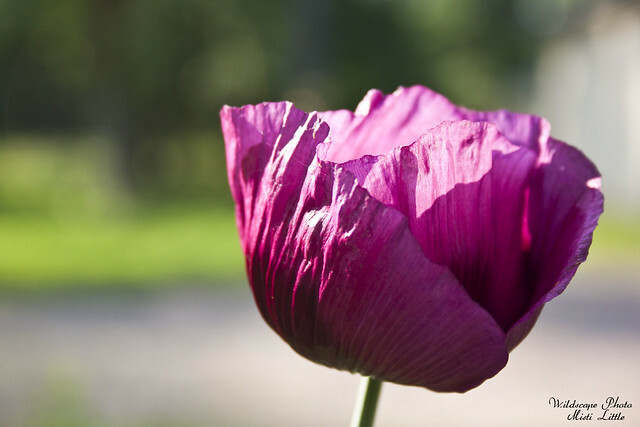 Later on I was working near the poppies and smelled the aroma again and realized that it had to be them, that the smell had lingered on my hands when I’d touched the leaves earlier in the day. 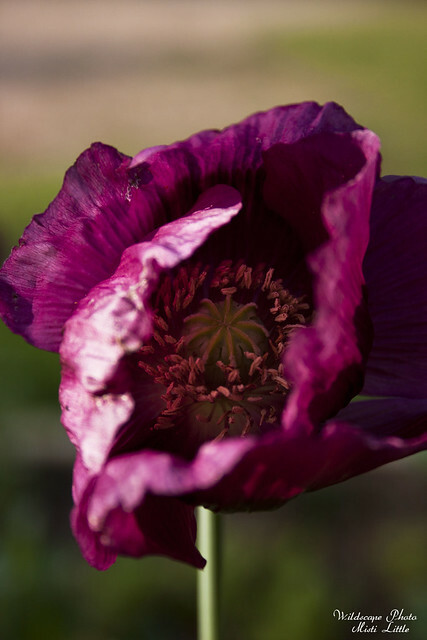 Considering that the species Papver somniferum that this hybrid is made from is the species that opium and poppy seeds are derived from, I guess it shouldn’t come as a surprise that there is some kind of smell associated with it. Aside from all of that, I’m definitely going to be growing these again! 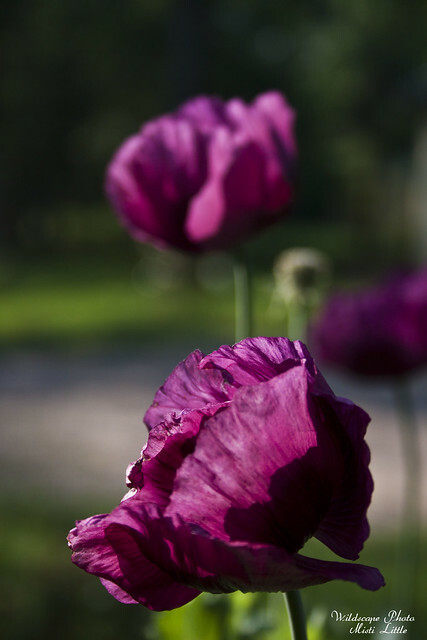 They were a delight to have while they bloomed and stood tall among the other plants in the garden. I think I got my seeds from Botanical Interests but I’m sure you can find them elsewhere. WOW- those are beautiful! Now I’ve got the poppy itch again! 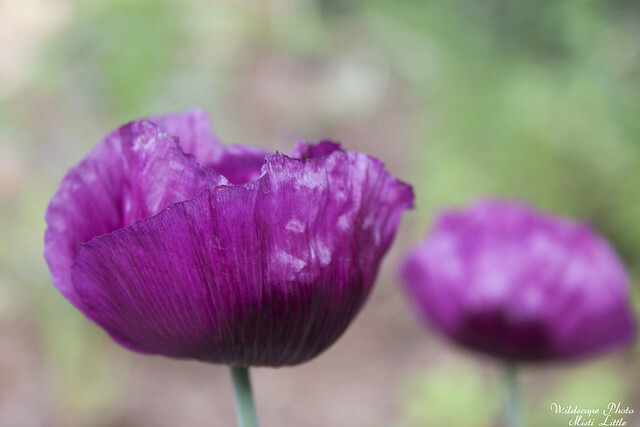 I actually did a planter of poppies about two years ago, in the spring. They were a Botanical Interests mix. They did *okay* but by the time they were starting to bloom, they were looking very dried out and spindly. I really babied them, too. I think it probably would have been a lot more successful if I planted them in very early fall and let them develop over the cooler parts of late fall and winter. Of course, they may not have been really great for containers to begin with, even though I think I got them because it was a “container friendly” plant or whatever. These are gorgeous, though. Those photos are amazing!